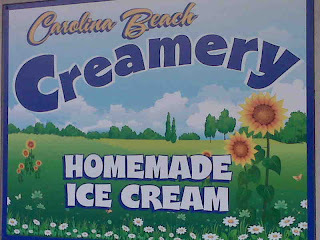 The Creamery has opened for business at Carolina Beach, NC. This past week David and I decided to take a little evening break and try the newest Ice Cream shop on Pleasure Island. Their sign was enough to make me want to stop in and see this new shop. 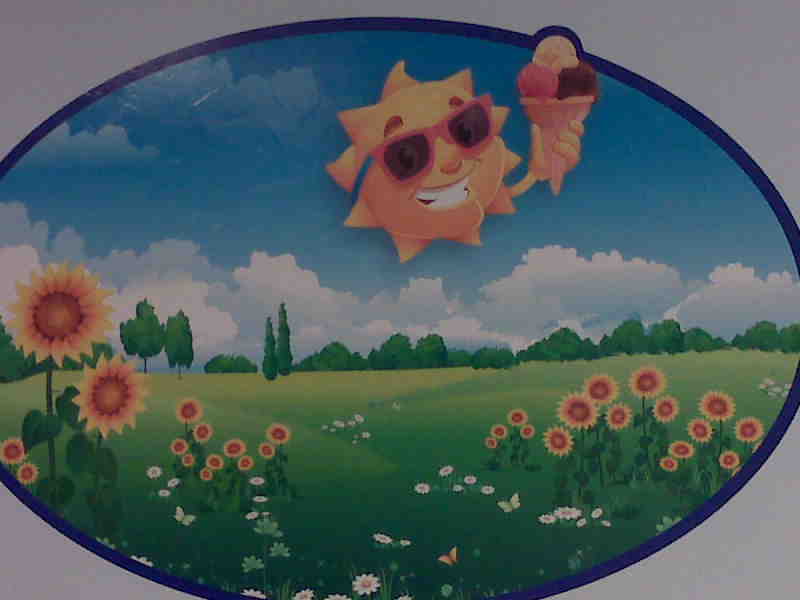 It is a bright smiling sunshine over a field of flowers. It makes me smile when I drive by it. 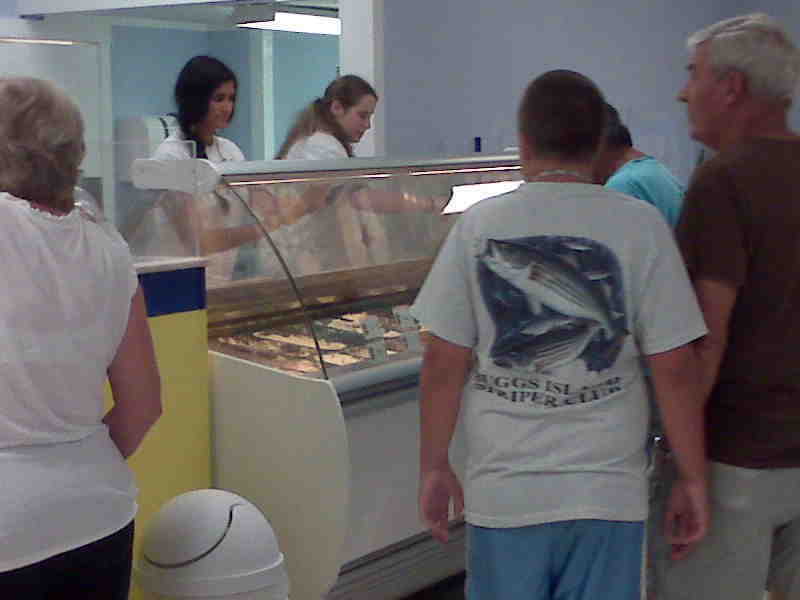 We were delighted to see the line waiting for a scoop or a handmade waffle cone. 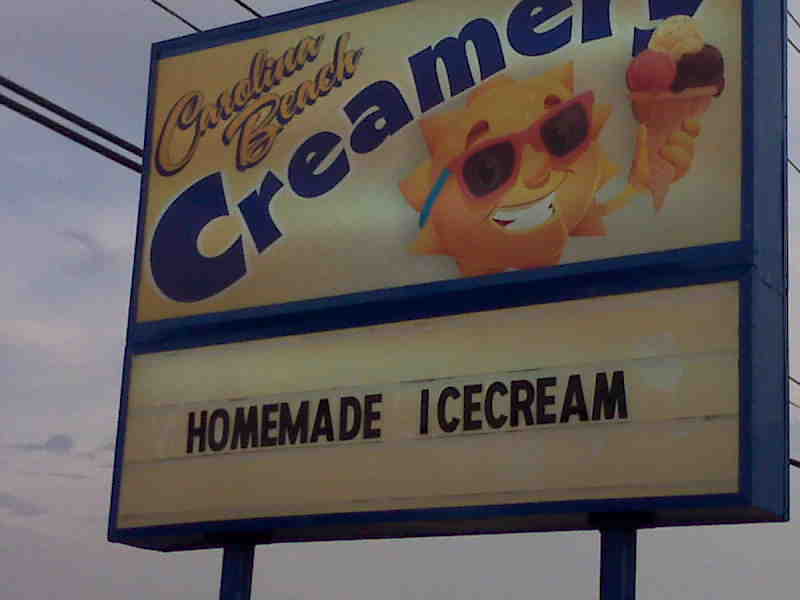 That has to be a sign of good ice cream. 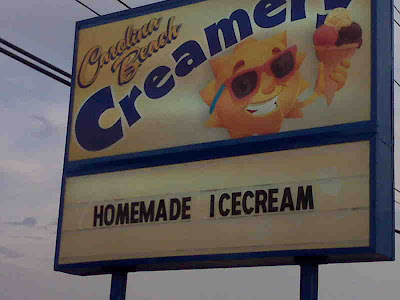 The Ice Cream recipes he uses are really tasty. With flavors like cherry vanilla, pistachio dark cherry, rocky road, cake batter, chocolate plus a whole lot more flavors. They have Italian ice and brownies and cookies too. The flavors change often, can’t wait to see what they have next time we visit them. 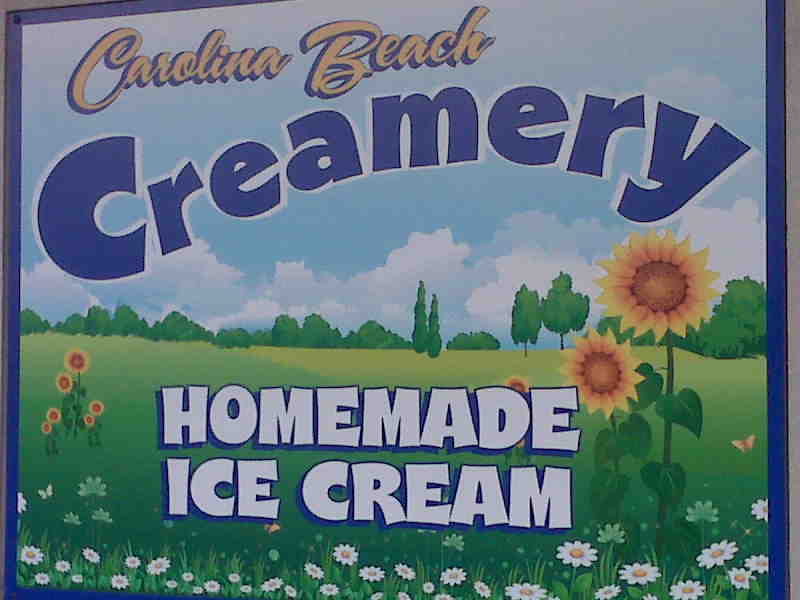 Come and stay with us here at our Carolina Beach, NC bed and breakfast and after a day of fun in the sun go over and pick up a great tasting ice cream. I had a banana split with chocolate, cake batter and a pecan praline with hot fudge and whip cream and of course a cherry on top. Before I ordered it I noticed that they really load them up with 2 huge scoops of each ice cream so I actually asked for 1/2 the ice cream, it was a perfectly delicious evening treat.